How To Choose The Rights Wedding Palette Colors! Though the best wedding venues can do a lot to change their overall appearance–covering walls with white drapes, for instance, or adjusting the colors of their LED lights–couples should keep the colors of their venue in mind, especially if the event space uses rich colors like reds, oranges, and purples. Instead of trying to hide or fight the venue’s preexisting color scheme, most wedding professionals recommend choosing colors that compliment the banquet hall’s decor. While a pop of neon here and there can really spice up your wedding palette, avoid making “electric blue” or “hot pink” your primary or secondary wedding color. The more “unnatural” color you include in your decor, flowers, and dresses, the more likely it is that these eye-catching items will clash with your palette’s more subdued earth-tones. When it comes to bold, less is more! Don’t Use Too Many Colors! While going “full neon” would be an obvious mistake, it’s also possible to err on the side of safety. Unless you want your wedding to look drab and conventional, don’t be afraid to get creative, edgy, and daring with your wedding day colors. For a color palette that will make your guests say “wow,” try mixing and matching colors that don’t usually go together, like peach and emerald or mint and violet. 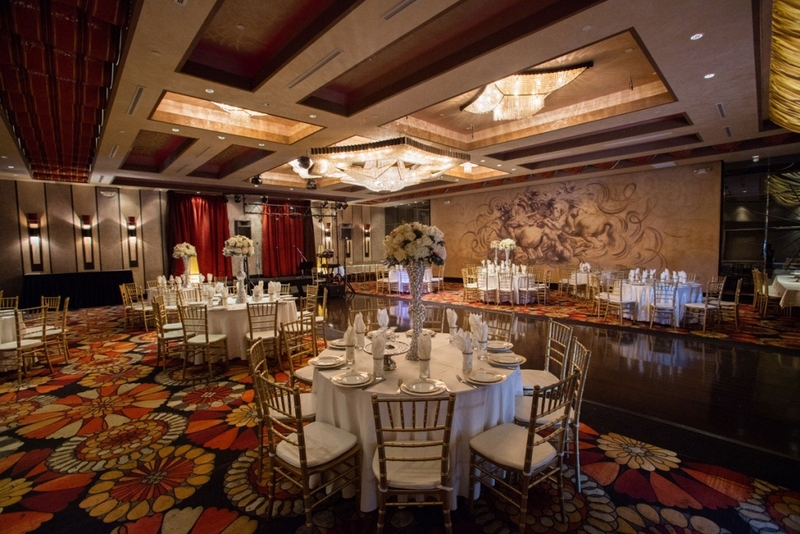 To read more excellent wedding planning and decorating tips, visit the Hollywood Banquet Hall Blog or contact Hollywood today to speak to one of our expert wedding coordinators. Happy planning!